Police in Portland, Oregon declared a civil disturbance on Saturday after counter-protesters from Antifa showed up at a downtown Patriot Prayer rally and threw projectiles at the police, resulting in the deployment of flash grenades. 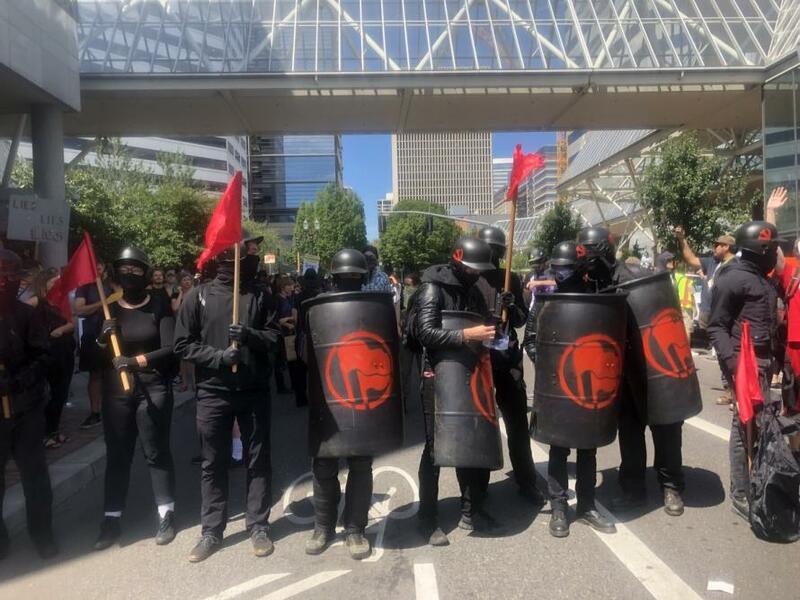 The disturbance comes around a month after "Rose City" Antifa squared off with conservatives in a violent altercation that took place in the middle of Second Avenue. Earlier in the day a man "got in a struggle with some black clad dudes over a flag and one of them clubbed him," according to journalist Mike Bivins, after which the man bled onto the street.